Sweeties take us back to our childhood. 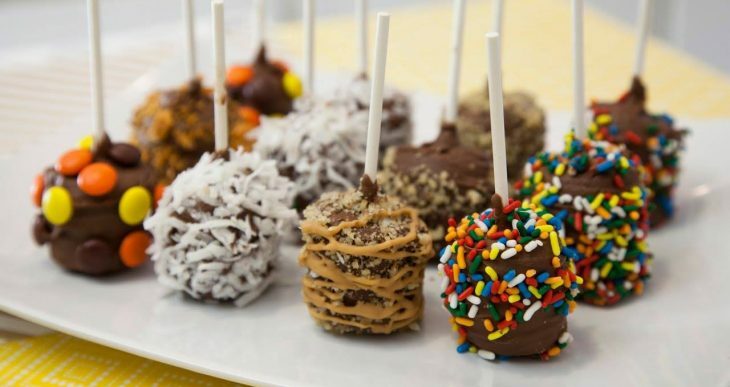 Today we suggest you to get back to childhood by making candy with banana. Blend cookies, mix it with boiled condensed milk till getting smooth mass. Cut banana into small pieces and melt chocolate on water bath. Make mass as a sausage and cut it. After putting banana into a mass dip each of them into a melted chocolate. Then add chopped nuts on candy. Put them in the fridge for few hours.